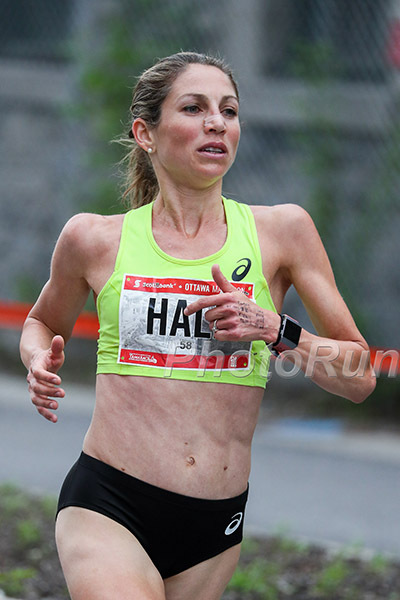 Photo of Sara Hall by PhotoRun. The Bank of America Chicago Marathon, TCS New York Marathon and California International Marathon are one, two and three months away, respectively. It’s that special time of the year when many are digging deep to plan and prepare for their fall marathons. But how does one go about choosing a fall marathon? Though fall’s big three are approaching fast, there are also local marathons and bucket-list race options to choose from. The options can seem endless. Once you do settle on a race, how do you best prepare for ambitious goals when the months ahead might have cooler or even snowy weather? Read below for some top advice from professional runners and professional coaches on their best fall marathon tips. Andrew Kastor, coach of the Mammoth Track Club and husband to Deena Kastor, gives a lot of valuable advice in his new book Running Your First Marathon: The Complete 20-Week Marathon Training Plan. When asked about goals, Andrew Kastor confidently states: “Goals need to be creative…The goal needs to be exciting.” Deena Kastor, Olympian and U.S. American marathon record holder, continues to chase ambitious goals. “Deena has done so much in the sport,” Andrew Kastor says. “In 2015, it was to race Chicago and break the masters record. We’ve been trying to come up with motivating factors. The book has been taking precedent.” The book he’s referring to is Deena’s Let Your Mind Run, a book chock-full of valuable mental advice for running, life and racing. Whether you are chasing your first running goal or entering a new stage of life with new goals, the goals you pick need to be motivating and exciting. They can continue to be shaped and formed, no matter what age or season you’re living in. 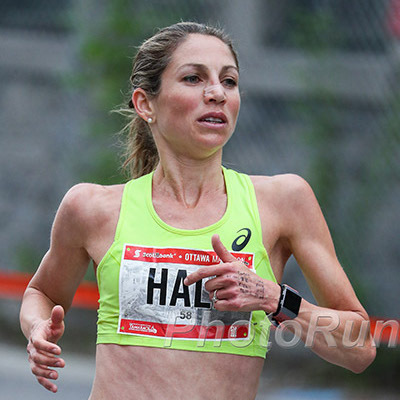 “I would encourage a new marathoner that it isn’t any one workout but the accumulation of lots of good workouts and lots of miles that prepare you for the marathon,” Hall recommends. “I’ve learned personally that you succeed at marathon workouts, but that doesn’t always mean you are ready to run that pace on race day. I’ve learned that a lot of it comes down to how you can run on tired legs. As I’ve increased my overall training load and been able to run the same pace for marathon workouts, I’ve come to see how that translates to my race times coming down. I’ve tried to take the emphasis off of ‘nailing workouts’ as I had in my track career and tried instead to see workouts in context of my overall volume and fatigue.” Chasing goals takes time and patience. The marathon is the perfect way to put both into motion. Sara’s husband Ryan Hall, the American record holder in the half marathon, is now coaching Sara and their daughters, as well as forming an elite group. Ryan Hall comments on preparing for a marathon and what he’s learned over the course of his successful career. “Everyone knows that you’ve got to put in 20-mile long runs, long tempos and a bunch of miles. But really the key to running your best marathon is to build off your 5K speed. I’d recommend spending three months focusing on your 5K and 10K speeds before beginning a traditional 12-week marathon buildup. 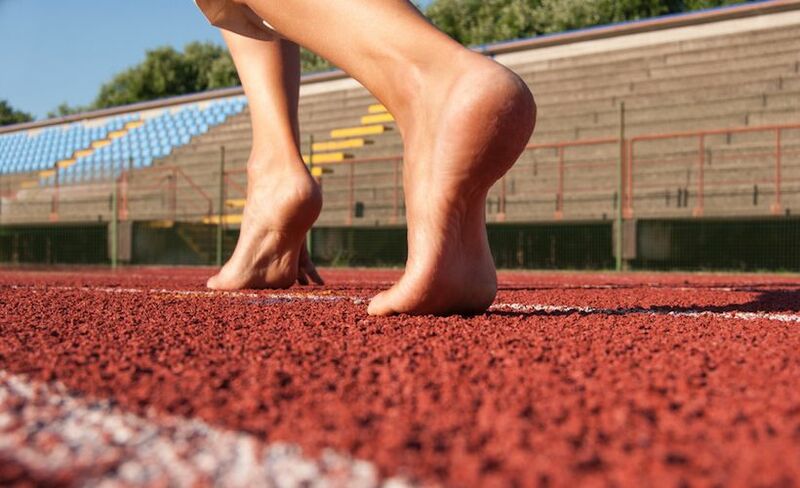 As you progress as a marathoner, don’t let your 5K speed slide. That was a huge mistake I made.” Top marathoners and coaches would agree that maintaining your speed is crucial to a marathon buildup. After all, that final stretch is when you want to run fast! From the mental tips required to get through training to choosing your race and knowing how to prepare, know that your goals are achievable. As Andrew Kastor reminds us, “The goal needs to be exciting.” Get out there and start chasing your fall marathon goal. Good luck with your preparation! Not Racing A Fall Marathon? 5 Things To Do Instead.